Hello, friends... and apologies for the long delay in between posts. I spent a relaxing five days visiting my family in Kansas last weekend, and since then, I've been catching up with work, school--and having some fun too. Scott and I enjoyed a beautiful fall day at Notre Dame on Saturday (too bad the Irish couldn't have played better! ), and I got to see a bunch of ND friends (and my sister J who is a junior there). 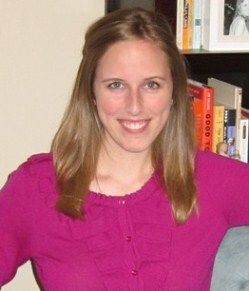 I did want to update you on our last book club meeting, which was held a couple weeks ago at C's place. After a crazy day at work, we enjoyed Skinny Girl margaritas, spinach dip, and some "I-could-have-eaten-the-whole-tray" paninis. C assembled "grown up grilled cheeses" and a version with turkey, roasted red peppers, and cheeses. We settled in on the couches for our discussion and dessert--raspberry crumble bars and lemon cheesecake bites. Delicious! With just three of us able to meet this month, the conversation about the book, Miss Peregrine's Home for Peculiar Children, was fairly short. But the general feeling was that the story was entertaining and suspenseful--an exciting page-turner, especially after the initial pages. The photos definitely added a "creepy" factor, and the ending felt a little open-ended, as if a sequel could be in the works. It was refreshing to read something in a different genre than my typical picks. If you haven't read Miss Peregrine's yet, it would be a great mysterious story for this Halloween time of year. We've already lined up the next couple months' books. 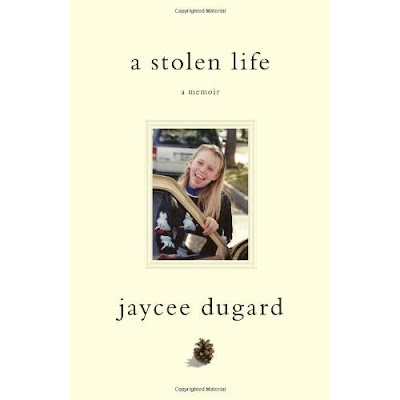 For our November meeting, we'll be reading A Stolen Life: A Memoir by Jaycee Dugard. 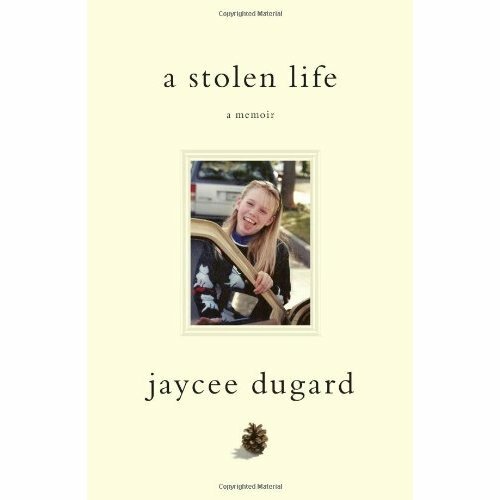 Though it is fascinating to learn how someone can come out of such a horrible experience with courage and resilience, I think it will be an extremely difficult read.